This post is sponsored by Lindt Chocolate Shops. All opinions are my own. In my house, Easter generally centers on my kids, their Easter baskets, and the little Easter egg hunt I always put together for them at our house. I also like to cook a nice meal, which we usually eat in the mid-afternoon. This year, I’m taking Easter up a notch and thinking about the other people in my life who I want to share the Easter spirit with. Even though Easter is usually about the kids, there’s no reason we can’t make it more about our family and friends who we love. With family and friends in mind, I’m sharing some Easter basket ideas for all the people in our lives. To create the perfect Easter basket, of course, you need the best quality chocolate. 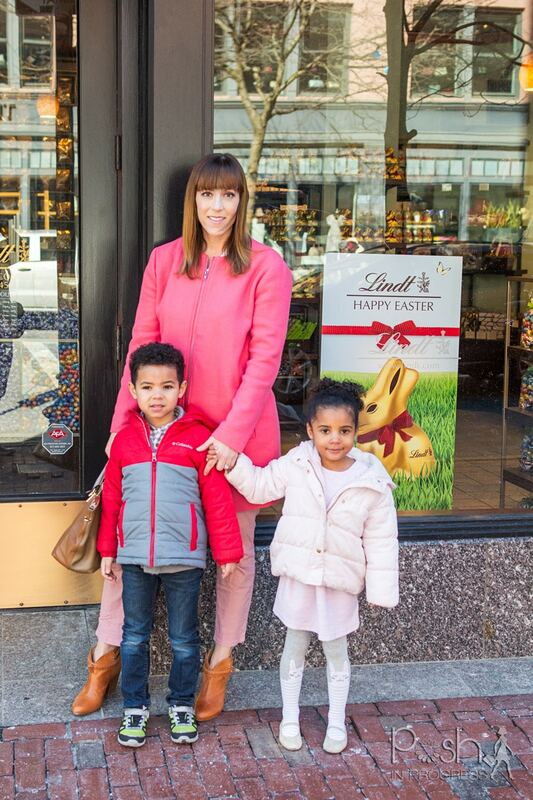 That’s why I always start my Easter basket preparation by visiting the Lindt Chocolate Shops. There are 56 stores across the U.S. and you can find the one nearest you by visiting their store locator page. 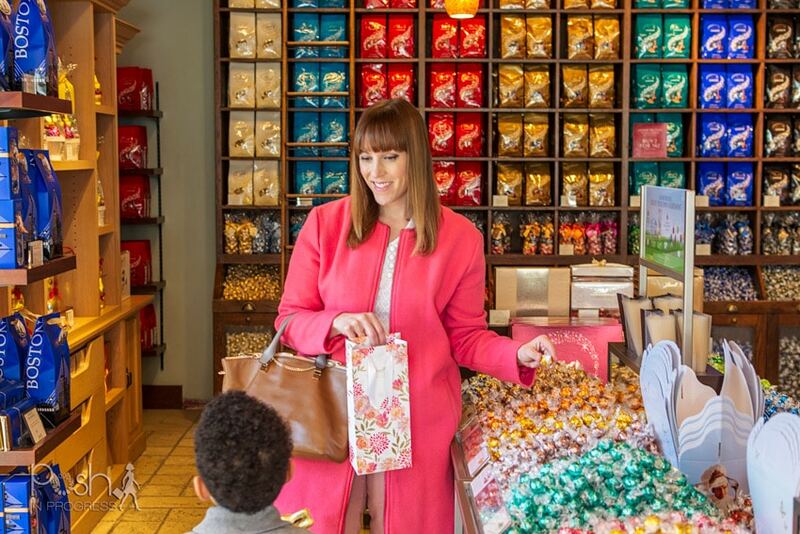 This Easter, you’ll find everything you need at Lindt Chocolate Shops. 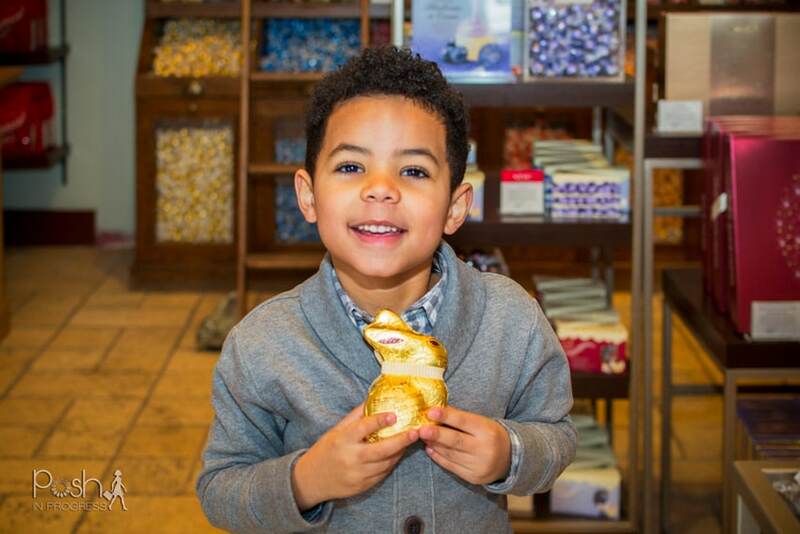 You can create your own Easter Basket with the magical Lindt Gold Bunny, assortment of chocolate figures, irresistibly smooth LINDOR eggs, and so many other great chocolates to choose from. So just in case you’re still looking for Easter basket ideas for your kids, family, co-workers, I’m sharing tips for all the important people in your life. You know your kids better than anyone, so you probably have a good idea of what they would like. Just in case you’re still looking, here are a few Easter basket ideas for kids. This year, I’m planning to create a themed Easter basket for them. I’m leaning toward creating an outdoorsy/gardening-focused Easter basket because my kids absolutely love playing outside, looking for bugs, and helping us with planting. We also have a big enough yard that we could actually create a garden this spring, so it would be fun to get them in on the action. I’m definitely going to include these bugs and bees chocolates in their basket, along with the Lindt Gold Bunny. If you’re looking for other ideas, here are 10 that could work. Choose your child’s favorite color and pick all the things in that color. Nothing says spring more than flowers. Why not find lots of cute flowery things to add to your daughter’s basket. There is no shortage of bunnies available during Easter time, so why not make that your theme? 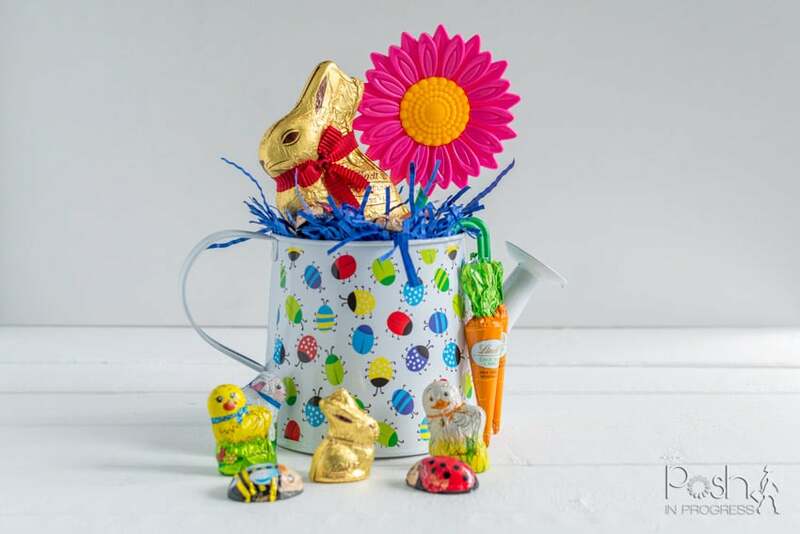 You can make the Lindt Gold Bunny your centerpiece and then find lots of little bunny trinkets to go along side of it. They even sell bunny-shaped Easter baskets in most stores. If your kids are into arts and crafts, a great idea is to create an artsy Easter basket. You can get paint, paint brushes, crayons, play dough, coloring books, etc. If your kids are into sports, you could create a sports-themed Easter basket, either related to a specific sport, or a more broad basket covering a handful of his/her favorite sports. They also sell Easter baskets shaped like sports balls. If your boy (or girl) are really into cars, trucks, planes, or other wheeled-vehicles, you might want to try that for your theme. I know my son would personally love receiving more vehicles to play with. Just like bunnies, there is no shortage of baby animal trinkets available around Easter time. You can also include these baby chicks, mini lambs, and baby bunnies in their basket. It might seem obvious, but a basket that features Easter egg trinkets might be a perfect theme. I know you can definitely find pencils topped with Easter egg erasers, Easter egg stickers, Easter egg stress balls, and more. You can also include assorted Easter egg chocolates they will definitely enjoy. My kids are preschoolers and they love to watch me bake. Every now and then, I’ll let them get in on the action a little bit. I got them their own kiddie spatulas and so they sometimes help me with simple things, like cookies. You could definitely fill your child’s Easter basket with a cooking and/or baking theme. Get them their own apron, oven mitt, spatula, whisk, children’s cooking book, you get the idea. You could even make their basket out of a colander or cute mixing bowl. If you live in a warmer climate, or you’re just wishing you did, you might want to create a fun in the sun basket which could include lots of outdoorsy things like sunglasses, a sun hat, bubbles, sidewalk chalk, and other little things they can play with outside when spring arrives. These are just a few fun themes you could create for your kids, now let’s talk about the adults in your life. Just because we are grown-ups doesn’t mean we can’t still give and get gifts for the special adults in our lives. I personally love the idea of gifting this gorgeous LINDOR eggs and truffles egg-shaped gift box. I can totally envision keeping this box to share chocolates for years to come. You could also create a themed Easter basket for them, depending on their interests. For example, if they are major movie buffs, why not throw in a movie theater gift card, some microwave popcorn, a free month of Netflix, and some assorted Lindt Easter chocolates. You could also include the gorgeous gold bunny for them to nibble on while they watch their favorite shows on Easter. As another idea, if your family member is into music, you could get them a new pair of ear buds, an iTunes gift card, along with an assortment of LINDOR truffles. One of my favorite things to do when I visit the Lindt Chocolate Shop is to create my own mix and match bag of truffles at LINDOR’s pick & mix display. I’m really excited to try try the new LINDOR blueberries and cream truffle, by the way. They have over 20 varieties of truffles to choose from, so you can please everyone. It seems like most people only give gifts to their coworkers around Christmas. I personally love bringing little things to the office throughout the year. For example, I often bring baked goods to work for two reasons. First, I try not to keep too many sweets around the house. Second, it’s a nice gesture to make things for the people you like. Plus, who doesn’t like a homemade treat? 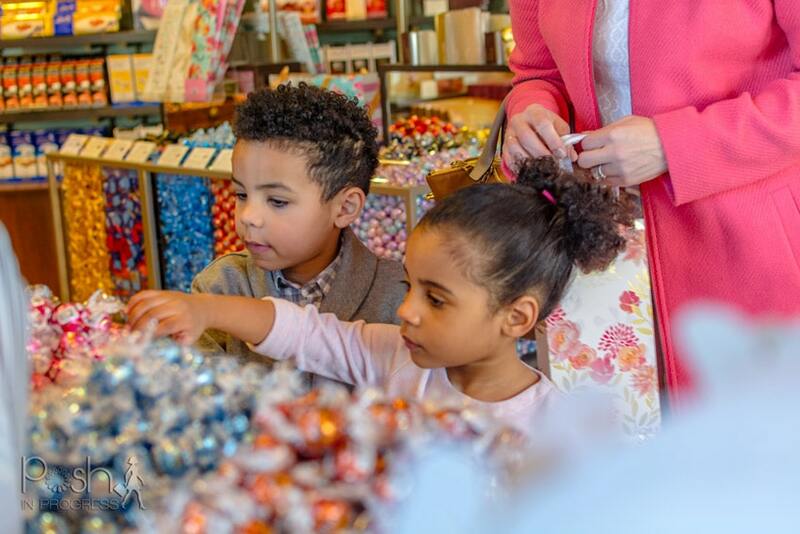 If you have some coworkers you really like or want to thank for their hard work, why not bring in a bag of Lindt chocolate eggs or a create your own bag of LINDOR Truffles. Still looking for more ideas for Easter? Here’s my favorite Italian Easter cookie recipe; here are some fun Easter crafts for kids; here’s 12 Easter desserts to try; and here’s a super easy and adorable DIY Easter bunny jar.